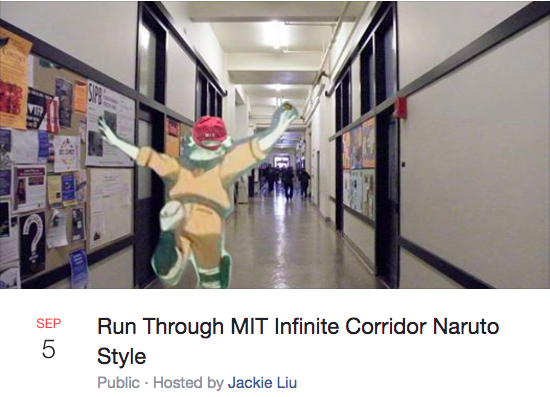 Starting college can be a nerve-wracking time. 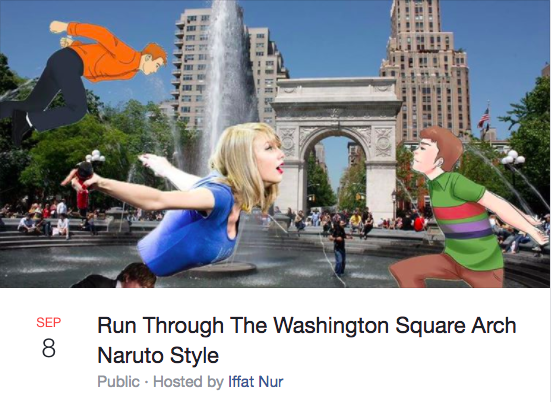 You’re agonizing over questions like Will I make any friends? 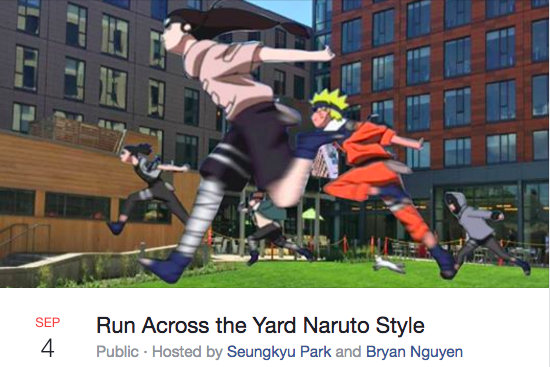 Will I fit in? 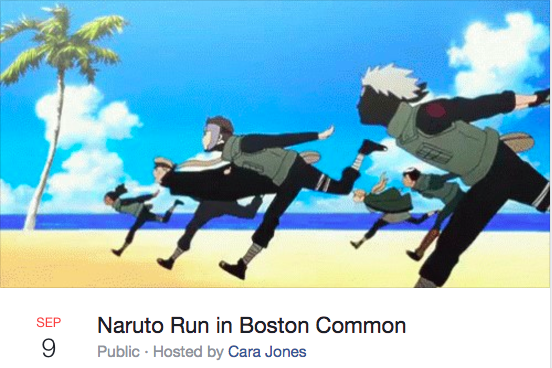 What if nobody at my new college loves and obsesses about anime like I do? 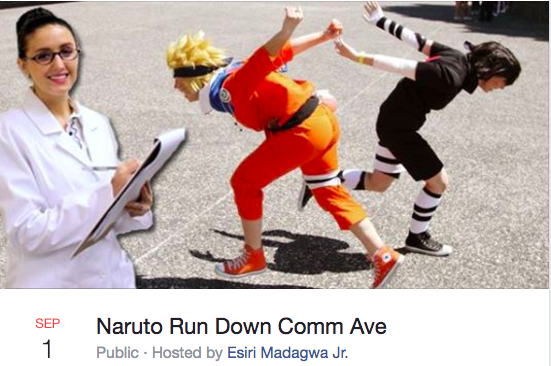 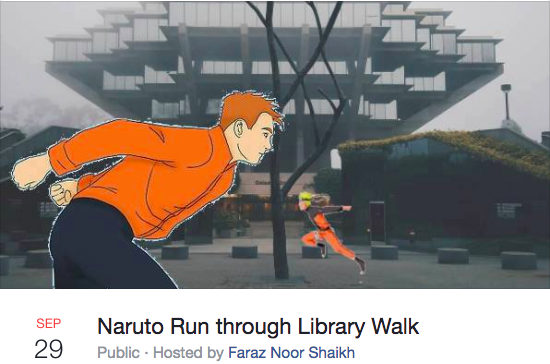 So it will come as a big relief to anxious incoming freshmen that Naruto Runs are being held at campuses everywhere this semester. 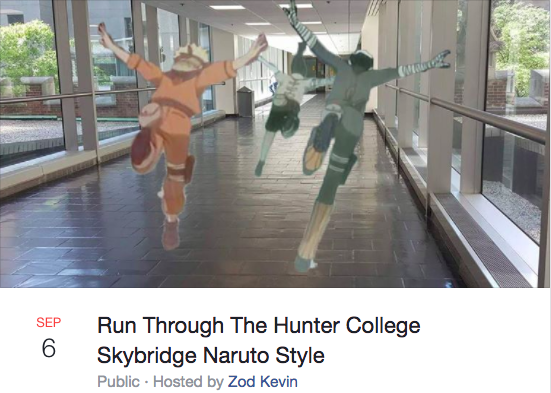 Stop worrying about whether your dorm will let you hang your katana over your bed — this is the perfect way to impress all your new college friends and show them you’re a man of culture as well. 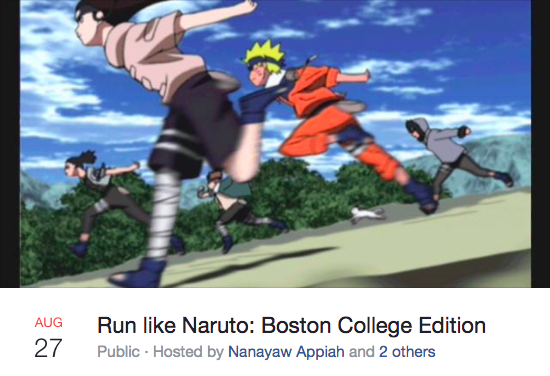 Facebook events have appeared for schools from NYU to Boston University to Penn to Berkeley to Rensselaer Polytechnic Institute, attracting thousands of attending students to pull off the coolest trick in manga. 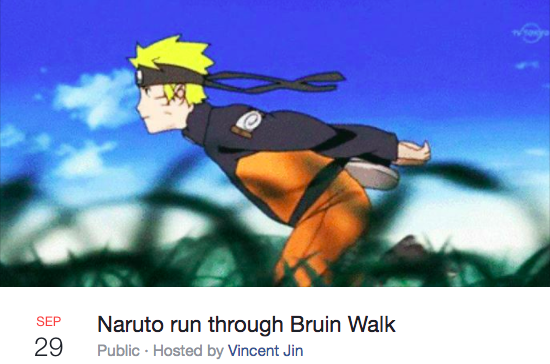 Re-enact your favorite anime move by leaning forward, throwing your arms back and running as fast as you can into your new life as a college freshman. 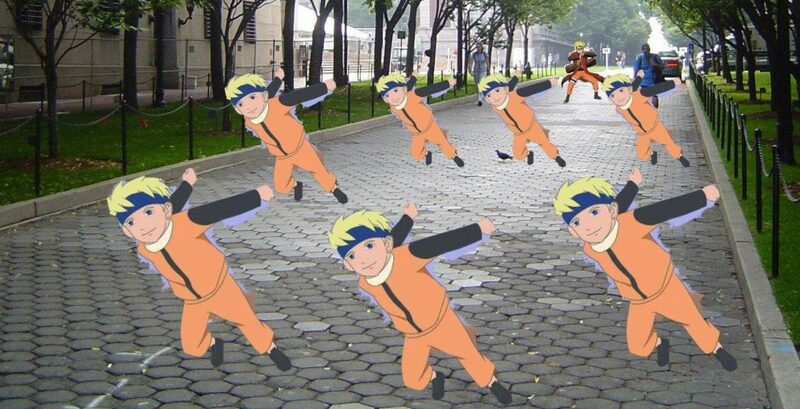 If you need to refresh your memory, here’s a helpful WikiHow on how to run like Naruto.